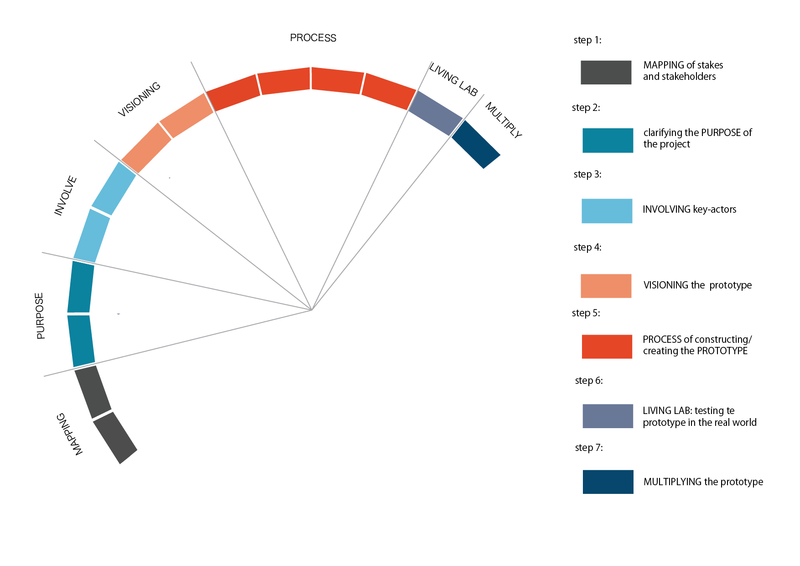 for developing prototypes, called Stakeholder, starts with Mapping out the issue at stake. What is happening? What is the current state of affairs? Who is important? What room for citizen action is there? On the basis of this a Purpose for the prototype is defined. In about 200 words this describes why the prototype is being built and what it aims to accomplish. Mapping and Purpose are used to broaden support. An outreach programme is set up to Involve more citizens and stakeholders in the development of the prototype.